The upgrade has been developed to deliver 24/7 underground drilling for both miners and tunnellers. The new package contains three individual options which are available for both DD422i and DD422iE and can be selected as individual enhancements or as a total solution package. 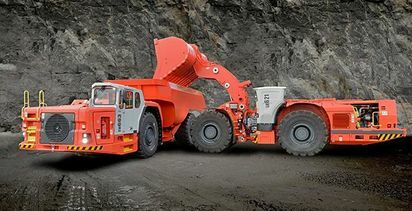 Sandvik said that continuous 24/7 production is now seen as a pre-requisite for advanced underground mining and tunnelling operations. 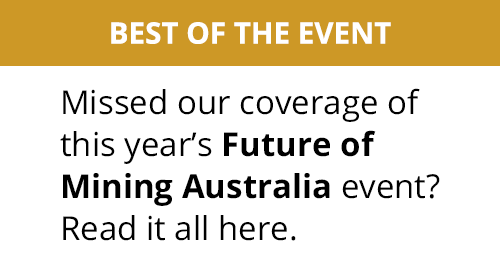 Mining companies and contractors are constantly looking to use technological developments to better utilise their investment in terms of both equipment and human resources, seeking to boost their overall operational productivity. 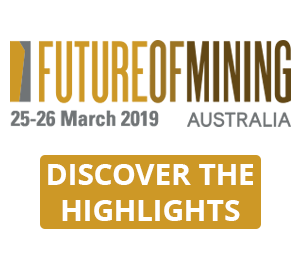 In particular, deeper mine or tunnel excavations lead to longer re-entry times for operators during shift changes, delaying the start point for production and resulting in a decrease in the number of working hours per shift. Deeper mine operations also often bring increased health and safety concerns due to various geotechnical challenges when the mines, contractors and OEMs are all keen to reduce operator exposure under these demanding conditions. Sandvik stated that two of the most advanced and productive automatic face drilling solutions currently on the market are the intelligent Sandvik 400i series drills, DD422i and DD422iE. These smart machines have already enabled many underground mines and contractors to automate their development drilling during shift changes, blasting and ventilation hours, allowing them to independently drill from one third to up to half a round, depending on the conditions at the face. Despite the benefits that these drills provide, there are some limitations in terms of the number of holes that can be drilled in the absence of an operator. Limiting factors such as the life of the drill bit dictate how many holes can be drilled in certain rock conditions, thereby affecting production. Other instances which can negatively affect production include capability to drill perimeter holes reliably in an automated and unmanned process without excessive risk of wall collisions or the activation of the boom anti-collision system that can stop the boom movements and the production. 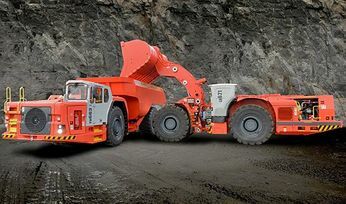 These limitations have led directly to the development and launch of the DD422i / DD422iE automation upgrades, enabling Sandvik's customers to enjoy improved productivity, better reliability, and - most importantly of all - to improve operational safety for the underground workforce. 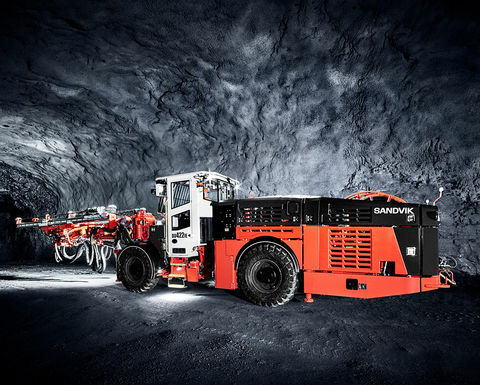 To overcome the difficulties outlined above, Sandvik has developed a series of optional extras for its DD422i and DD422iE underground drill rigs - they are available separately, or as a total package. One such feature is the new boom collision avoidance system, based on a dynamic route recalculation model that predicts potential collisions. This prevents the drill, when being operated unattended, from shutting down when the boom encounters a possible collision - thereby ensuring that not only is the collision avoided, but also that production is maintained without any interruptions. During manual boom control, the system also protects the unit from careless operation by first slowing, and then stopping, boom movements if they are too close to the carrier or another boom. Sandvik's new semi-automatic drill bit changer allows the bit to be changed from a safe location, thereby reducing the time the operator spends in front of the drill. As well as enhancing productivity, the new drill bit changer also reduces the risk of personnel exposure to weak ground conditions (such as at the face itself) and also the need to get in and out of the operator cab (which is one of the main cause for various angle and knee injuries in underground operations). The bit changer consists of racks of drill bits (6 or 9 standard bits, plus a reaming bit) for both booms. The principle is simply to remove the old bit and then retrieve a new one from the boom aside when the need arises. The key part of the new package is a Teleremote drilling control, which includes a drilling control panel that enables the drill to be operated remotely - for example, from the surface of the mine. This allows the operator to help the unit to drill more holes during shift change, blasting and ventilations times - also reducing the risk of equipment damage by allowing a remote supervision of the drill when operating unmanned. The onboard package consists of cameras, wireless antenna, safety-rated access protection system and a control logic to handle commands between the drill and the remote-control station. The off-board package contains a remote-control station, viewing screen for cameras located on the unit and some auxiliary controls for both lights and cameras. The package is light and compact, allowing the control station to be easily moved from one place to another where required. 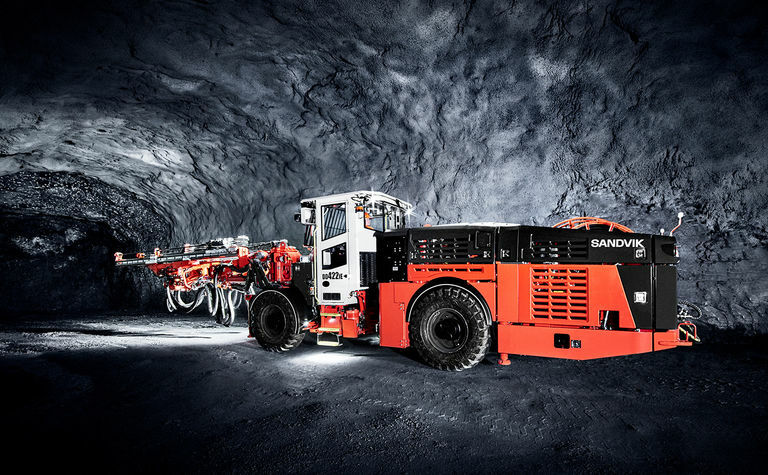 By using the Sandvik DD422i / DD422iE automation upgrade package, the company stated that more holes can be drilled during an operating period, improving overall productivity of the underground mine development process. Where required, it also acts as a solution to reduce operator exposure to potentially dangerous conditions at the face, thus making overall drilling production not only more reliable, but also safer.